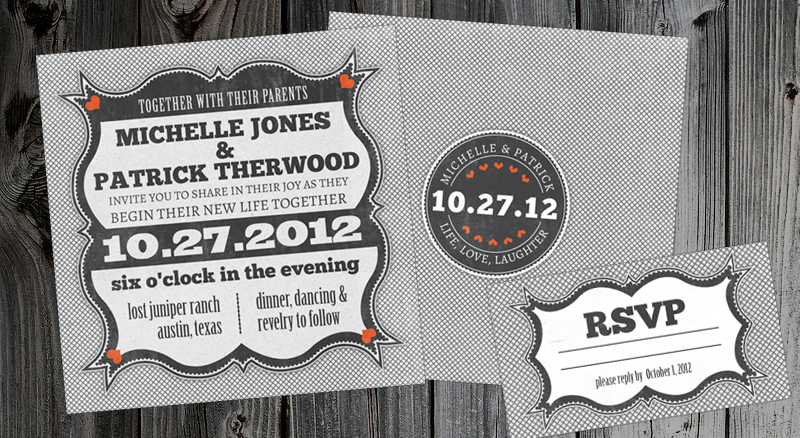 This set is a lovely, but inexpensive choice for a self-printed invitation. With a small pop of bright orange color and double-sided detailing, this invite looks best on uncoated plain, or linen cardstock. Perfect for any home printer!